Sistrunk Robinson’s teaching is based on years of practicing and refining this mentoring process for women, yet, while some of the book speaks explicitly to women, she clearly has the whole church in mind and I, as a man, read it as easily applicable to all who follow Christ, regardless of gender. To the degree she does focus on women, I appreciated her affirmation of women as teachers, learners, and leaders, as well as the relative absence of gender-based role assumptions. I have much to commend in this book, along with a couple areas of critique. 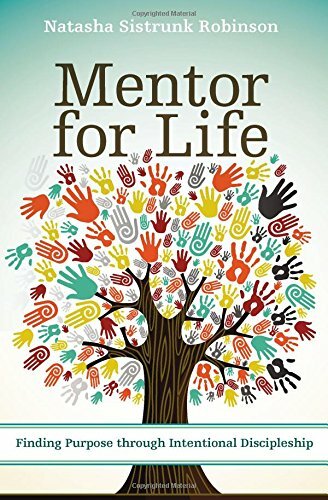 Sistrunk Robinson defines mentoring as “a trusted partnership where people share wisdom that fosters spiritual growth and leads to transformation as mentors and mentees grow in their love of Christ, knowledge of self, and love of others” (pp. 31, 137). More simply, she states: “mentoring is intentional discipleship” (p. 32), and the two terms share the goal of developing Christian maturity. The difference in the two, for Sistrunk Robinson, seems to be that “mentoring” has more focus in terms of time (regular meetings) and content (like assigned readings and exercises). Those definitions are helpful, given how frequently the terms “mentoring” and “discipleship” are thrown around and given how much they overlap, depending on one’s definitions. The book is organized into two parts. The first (pp. 23–75) aims to answer, “Why do we need mentoring in the church?” Sistrunk Robinson reminds us that it is intrinsic to God’s purpose for his people and for the world. She calls for an evangelism that expects people to follow Christ in a life of discipleship, and warns us to discern—as trained disciples—the negative aspects of culture and to create cultures that glorify God. 1. Presence: with God and in Christian community. 2. Discipline: cultivating spiritual disciplines (discipleship of mind and soul through study, prayer, fasting, journaling, and retreat). 3. Mission: training and perseverance for God’s mission, and caring for those who join us. 4. Community: commitment to safe/trusting mentoring relationships, with love. 5. Relationships: embracing people as God does, seeking diversity and affirming identity. 6. Love: sacrificial acts that shape character, clarify spiritual gifts, and affirm calling. Each of those six commitments concludes with practical tips and anecdotes in a “This is How We Do It” section, relaying experiences Sistrunk Robinson and other women have had. Every chapter of the book has a “Mentor for Life” list of five or six questions/exercises that provide the reader/mentor with insight and training that will help them in their growth and mentoring—great for individual reflection and group discussion. I have two soft critiques of Mentor for Life. I would recommend the book to all, but I worry that some might not give it a closer look because they may mistake it for a “women’s discipleship/mentoring” book, because the language and examples are primarily focused on women and women’s experience. I recognize the irony of a white man critiquing the fact that I don’t see myself in examples, as this is often the experience of women and people of color. Yet I believe that like any work targeted at a generic Christian audience, greater gender-inclusiveness and diversity of language and examples would make for a stronger, more useful book with wider appeal. My second soft critique considers the role of personality type and life experience in the voice of the author and her conception of the mentoring process. In a way, this is as much affirmation as critique. Much to her credit, Sistrunk Robinson’s writing shows strong self-awareness, with a healthy acknowledgment of her characteristics and experiences without elevating herself or her approach. The language of high expectations, goal achievement, and clarity of goal/mission seem to come naturally to Sistrunk Robinson, and are reflected in her work. Those are not natural for me, so in order to receive a helpful exhortation from that language rather than being discouraged by it or discounting it, I have to translate her concepts into language that resonates with me. Also, while “[v]isionary goals and high expectations draw us in to depend on God. . .”, so, too, may many kinds of suffering. I hope some future presentation of Sistrunk Robinson’s will give more breadth and nuance to processes and goals of Christian maturity, such that those of us who are less “goal-oriented” or “driven,” along with those characterized by suffering, find more self-portrait in her writing. Overall, I recommend Mentor for Life. Much of the mentoring I have done has been one-to-one, but I am now convinced I would do well to embrace Sistrunk Robinson’s small group approach (4–6 members, plus a mentor). It would provide more accountability and growth. Some of this would be due to the value of choosing a diverse group: “Mentoring across racial . . . generational, and socioeconomic lines influences the way we experience God and love others” (p. 183). She never says or implies that one-to-one is “wrong”—indeed, she says it is critical that mentors give the individual attention required to know who their mentees are—but the intentionality, mutuality, and varied gifts of a diverse group provides potential for love and maturation that one-to-one relationships cannot. Sistrunk Robinson’s approach to mentoring, like her book, is one that will benefit many in the church.